In our recap of House Bill 166, Gov. Mike DeWine’s initial budget proposal for fiscal years 2020 and 2021, we noted it contains a new health insurance mandate, requiring health plans to provide coverage for telemedicine services. The Ohio Chamber and the many businesses we represent that choose to voluntarily provide health care insurance to their employees have longstanding concerns with the legislature interfering with the free market by mandating coverage for specific health services. And we know that health care costs remain the number one concern of Ohio business leaders. 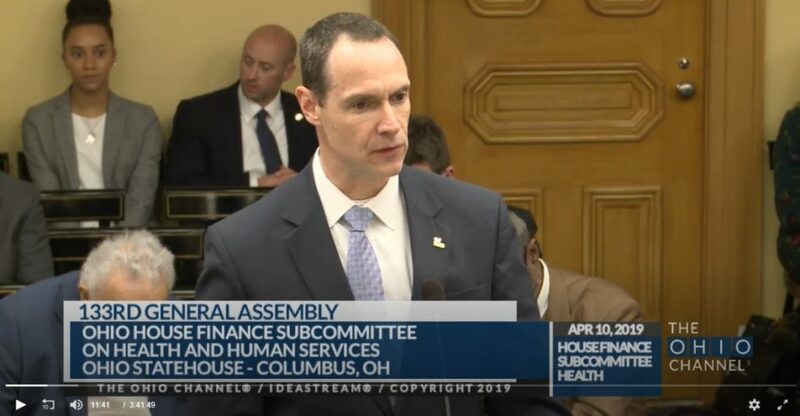 This week, we had the opportunity to testify about the telemedicine mandate contained in HB 166 in front of the House Finance Subcommittee on Health & Human Services. In our testimony, while we expressed our general support for telemedicine, we noted that, without adequate safeguards, this new mandate could end up jeopardizing the potential for health care cost savings that telemedicine promises. Telemedicine allows health care professionals, in real time, to evaluate, diagnose and treat patients at a distance using telecommunications technology tools like two-way video and smart phones. This innovative approach to delivering health care has the potential to help expand and enhance access while keeping patients in their own community setting, while at the same time reducing the cost of health care and improving efficiency through better management of chronic diseases, fewer emergency room visits, and reduced travel time. If lawmakers determine that a mandate forcing all health insurance policies to include coverage for telemedicine services is necessary, the Ohio Chamber wants to see it done in a way that doesn’t have a chilling effect on health plan promotion of telemedicine for patients. To protect against this, we asked the legislature to amend HB 166 to include a prohibition on facility fees for telemedicine services. Facility fees are add-on charges, billed in addition to the allowable benefit paid by the insurer to the provider as reimbursement for the actual telemedicine service. While telemedicine services are provided at a lower cost compared to in-person services, facility fees can eat away at these savings. Ultimately, facility fees drive health care costs up, rather than down. The way to help ensure this doesn’t happen is to prohibit providers from separately billing a facility fee for telemedicine services. For the past three weeks, the five subcommittees of the House Finance Committee have been reviewing HB 166 and hearing testimony, and that part of the budget process wrapped up this week. Beginning next week, the full House Finance Committee will begin additional hearings, with amendments and a committee vote likely soon after lawmakers return in late April from their two week Spring Break.